There is a common misconception that you have to work out at a high intensity on a regular basis to ensure optimal heart health. Gym owners and managers should do everything they can to teach facility members about how moderate exercise can decrease the risk for heart disease as well as additional chronic illnesses. However, education about heart health will not suffice in and of itself. You also need to provide your members with opportunities to actually promote heart health. Here is a look at five ways your gym can help members enjoy healthier hearts. Cycling gets the heart pumping blood without straining the joints. This is the type of low-impact exercise every gym member can do. Start up spin classes, add stationary bikes throughout your facility and your members will flock to these heart-healthy fitness machines. If you have the financing, do not hesitate to invest in a cycling room with a dozen or more stationary bikes. 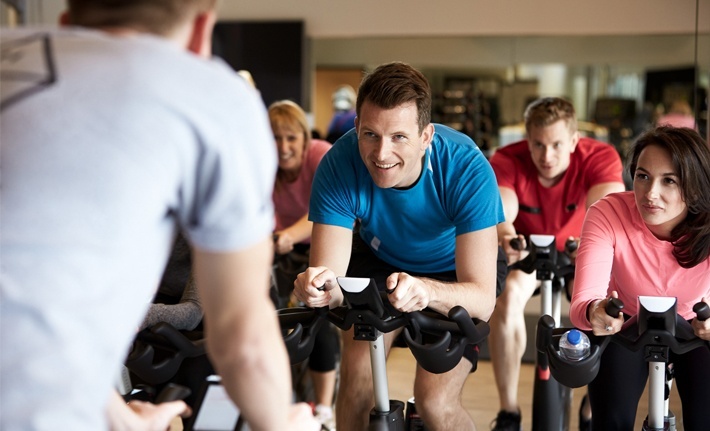 Hire a spin instructor or two and hold weekly spin classes. Members who embrace the opportunity to cycle in a climate controlled environment will enjoy a healthier heart, improved blood flow, enhanced strength and more of a toned lower body. Exercise is certainly important for heart health yet the foods one consumes also play an important part in healthy living. Simply exercising every other day will not be enough in and of itself. Your heart needs the proper fuel to function as designed. 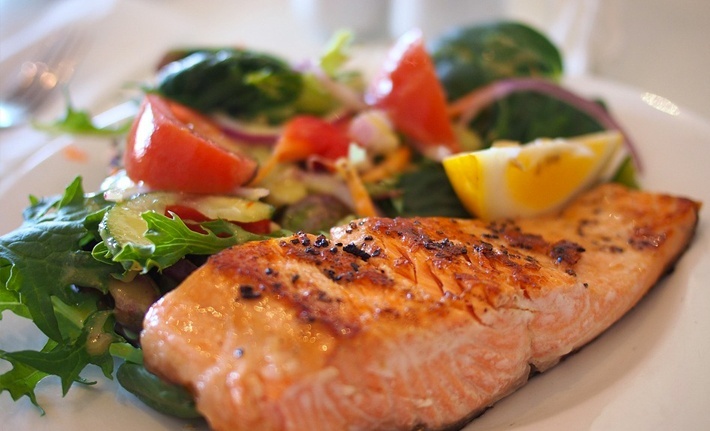 Examples of heart-healthy foods and beverages include blueberries, dark chocolate, salmon, oatmeal, tomatoes, potatoes, citrus fruits, red wine, nuts and legumes. Consider adding a dietitian and/or a personal trainer to your gym for nutritional counseling purposes. These professionals can help members consume heart-healthy foods and obtain maximum benefit from their workout. Some gym members are bored by regular aerobic exercise. If your gym members seem a bit disinterested or if they are not showing up as frequently, inject some life into your fitness center with interval/circuit training. Interval training is all the rage these days for good reason. This style of training involves periods of intense exercise followed by a cool-down period. Such an approach gets the heart rate up to a high level for at least a couple minutes, returns it to a normal rate for a minute or two and then pushes it right back during the next brief exercise. Studies have shown maintaining a prolonged period of a high heart rate is not as important as actually reaching that rate and maintaining it for a fairly short period of time. Have one of your personal trainers hold interval training sessions to educate members about this heart-healthy approach to exercise. Aside from boosting heart health, interval training will also keep members interested in your gym. This style of training involves diverse exercises performed in succession with strategically spaced breaks. Members will undoubtedly be intrigued by this unique approach to physical fitness and heart health. 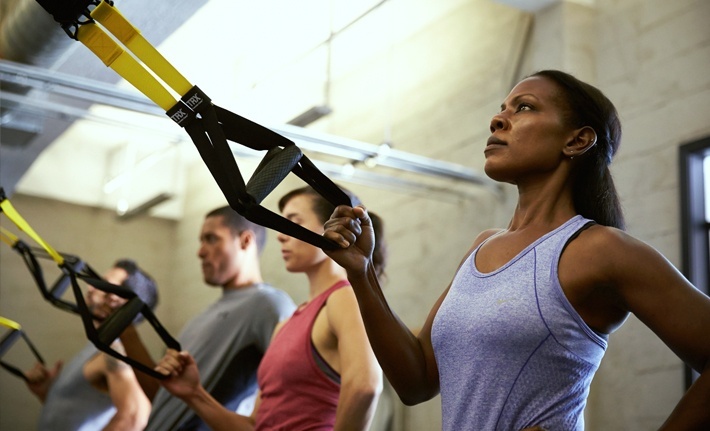 A study conducted by the American Council on Exercise shows training with the TRX suspension system decreases the chances of cardiovascular disease by upwards of nearly 90 percent. This suspension training provides a full-body workout that improves balance as well as flexibility. TRX Suspension Training also enhances core stability and stimulates the growth of lean muscle. Don't be intimidated by this style of training just because it's a little bit different. Give TRX a chance and you will find it does a fantastic job of using body weight and gravity to work the full body across myriad exercises. TRX workouts involve everything from push-ups to squats, lunges and chest presses. The American Council on Exercise study noted above shows participants burned about 400 calories each session. This equates to more than 1,200 burned calories per week across three sessions. There is a reason why a growing number of professional athletes like Marshawn Lynch swear by swimming. This is a demanding exercise that improves heart health while preserving the integrity of the joints. There is no sense having your members pound the pavement or even a rubber running track when they can hop in the pool, swim some laps and walk away without any damage to the joints. Add a swimming pool to your facility and new members will arrive in droves. 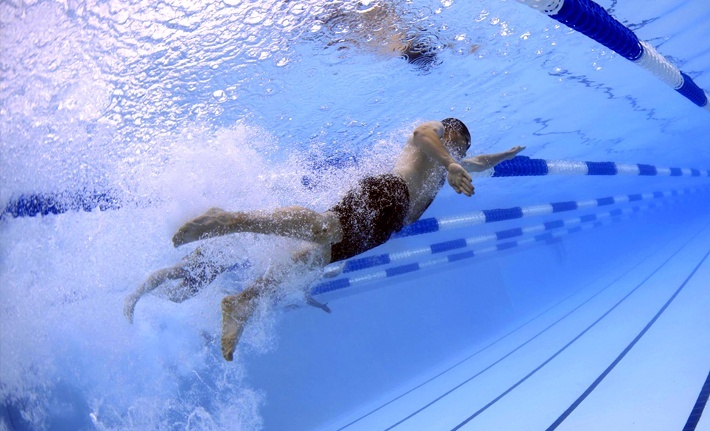 A swimming pool is the perfect place to exercise, improve flexibility and most importantly, enhance heart health. Exercising in the water is challenging as the water provides resistance in multiple directions, forcing you to put those muscles to work. Members who engage in water fitness classes or swim laps will ultimately enjoy better heart health and be inclined to renew their membership.